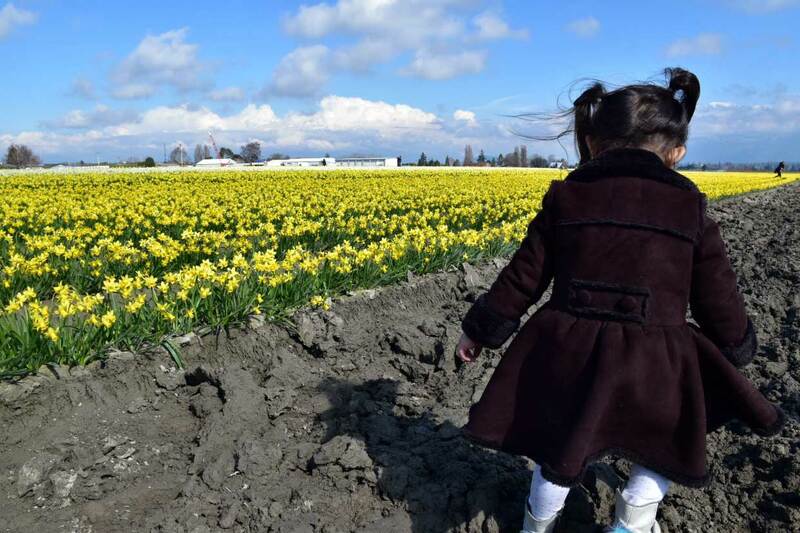 The Skagit Valley Tulip Festival is all the rage in April, but March is all about the daffodils. Yellow. Rows upon rows of golden blooms. A carpet of sunshine. As far as the eye can see. That’s what you’ll find at the La Conner Daffodil Festival in Skagit Valley though the month of March. Our goal for the day was simple: find an activity that allowed us to enjoy each other’s company while entertaining a toddler and an infant for a good chunk of the day. 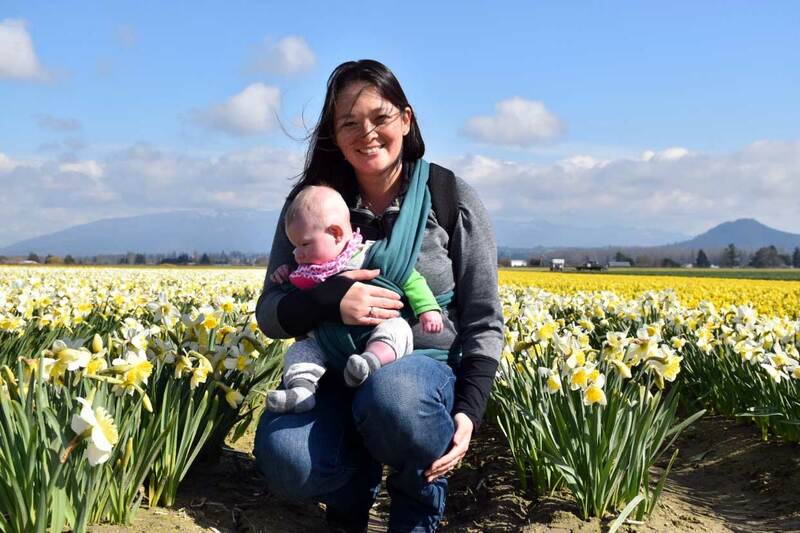 Neither of us had been to the Daffodil Festival before and we figured that at least the 90-minute car ride there and back would give us a chance to catch up while our kids logged a decent nap. 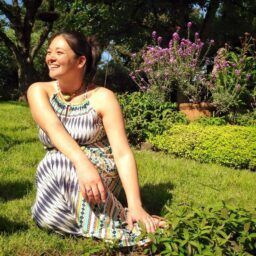 In planning our trip, we found most of our resources via lovelaconner.com, which gave us the low down on the festival. 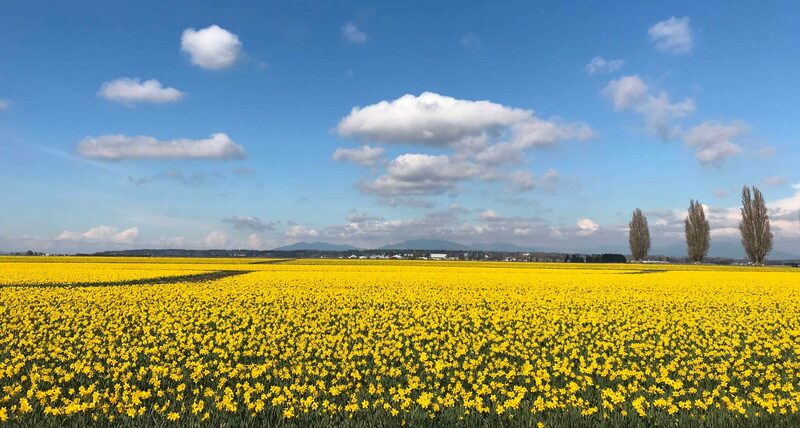 Did you know that more tulip, iris, and daffodil bulbs are produced in Skagit Valley than in any other county in the United States? See? You’ve learned something already. The site also provided this handy Bloom Map, showing which fields are blooming on any given day. We decided to head directly to RoozenGaarde to see what we could find. And we found what we were looking for! Rows upon rows of sunny, golden blooms, swaying in the wind. We did what any self-respecting parents would do – we busted out the cameras for selfies and cute kid photos. Of course, the toddler was really more impressed with the texture of the mud than the flowers themselves. Fortunately, all the mud was dry the day we were there so we didn’t have to worry about ruined clothes. 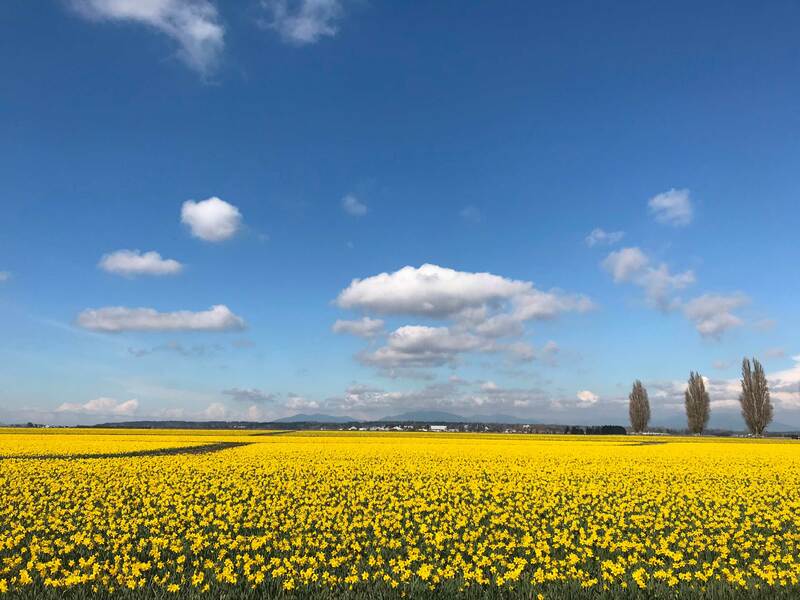 From RoozenGaarde, we loaded the kids back in the car and wove our way around the valley to view the other daffodil fields that were indicated on our bloom map. Our wanderings (and our stomachs!) led us into the quaint waterside town of La Conner in search of something tasty. The hostess at Nell Thorn Waterfront Bistro & Bar seated us and our little humans without batting an eye, even going so far as to offer crayons and a coloring menu to the toddler. 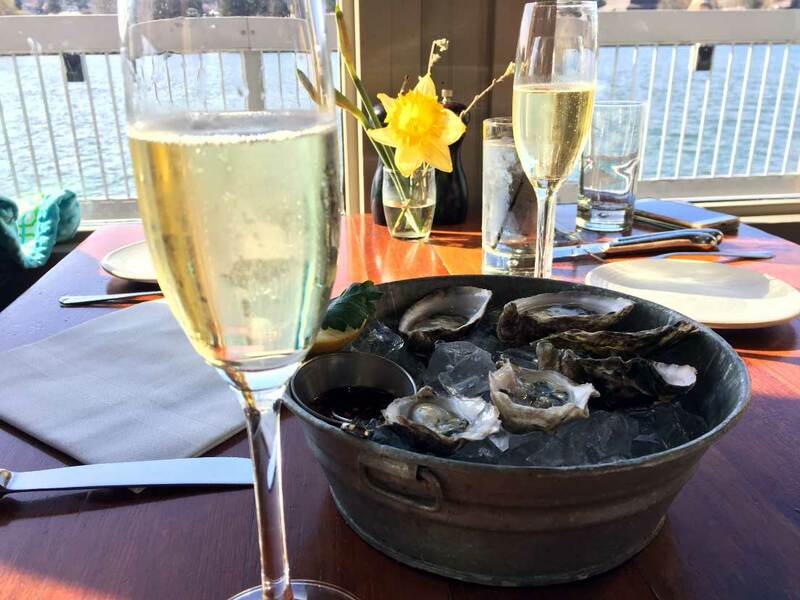 We settled in next to a sunlit window with a waterfront view and ordered sweet, crisp Hama Hama oysters and bubbles from Washington’s own Treveri Cellars. Kids were happy, moms were happy – honestly, it doesn’t get much better than that. The daffodils are currently in full bloom, so make plans now if you are eager to see these fields of yellow. 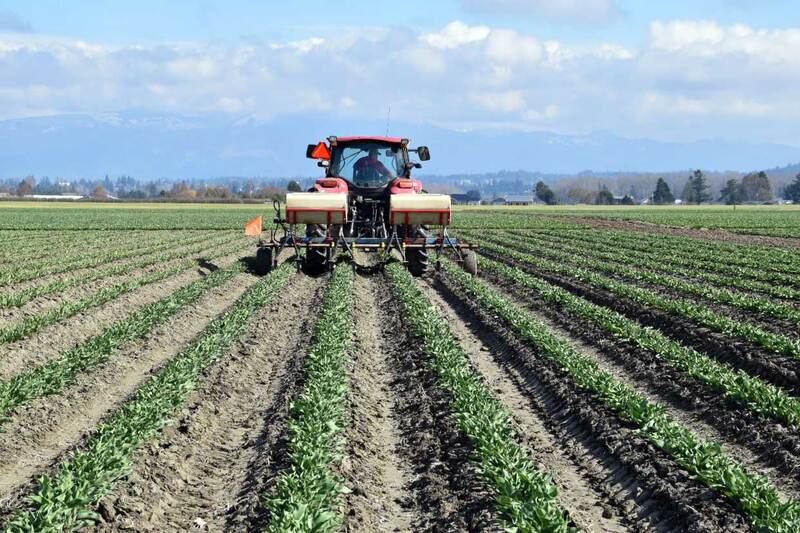 But don’t despair if you can’t make it in March – the tulips are up next and on track to bloom for the acclaimed Skagit Valley Tulip Festival in April. Of course, you don’t have to travel up north to enjoy the fresh flowers of the Pacific Northwest. Browsing the fresh flower stalls at Pike Place Market is an experience in itself. But if you can, standing witness to the acres upon acres of bright blooms under a blue sky makes for a spectacular day trip from Seattle.